Planning a trip to Ireland? Most would be expecting a horse drawn kart to be carrying them through the streets of an antiquated Dublin. But before you start planning your trip, you need to be well aware that the days of old have long passed. Instead, Ireland has become a mixture of antiquity and modern architecture. It is a land with unique culture and an enormous amount to see and do which makes it in many respects, a land of unmatched fun. 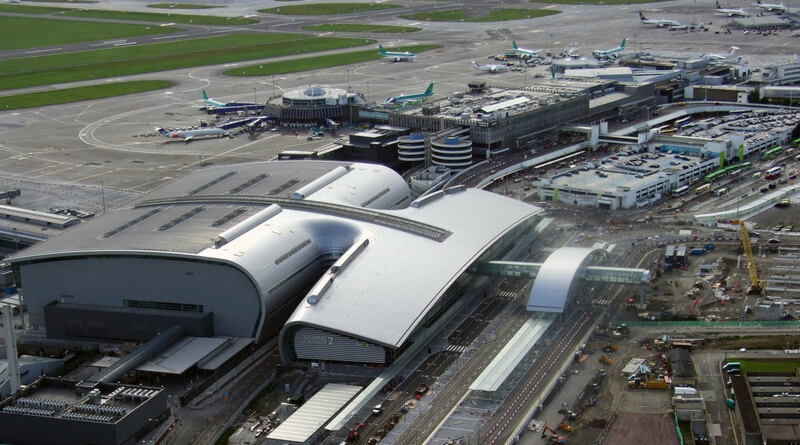 After landing in the new airport terminal, T2 in Dublin, you will most likely rent a car and go explore. And you really are in for a treat. Cliffs, Prehistoric Wonders, Art and Culture, Friendly laughs and the best pubs and clubs you could ever want, Unique sports, new beers and old faces. The best bag of chips (french fries) you will ever have, and maybe the worst hang over. It all awaits. So much historical charm in the morning, matched only by the great life within the modern and comfortable cities at night. My top choice of cities would be Dublin, Cork, Galway and Kilkenny. For smaller towns there are far too many to choose from. Read on, to gain some knowledge of avoiding the greatest tourist pitfalls you can experience. Firstly, don’t do the touristy thing….. The path too often taken is not the best one. 5. Aran Island…. Sheer beauty. 9. The Burren, with its unique flora and fauna. Some flowers and plants here, exist in no other place in the world. 10. Blarney Castle and the Blarney Stone. Kiss the blarney stone and get the gift of the gab.... or so the story goes. 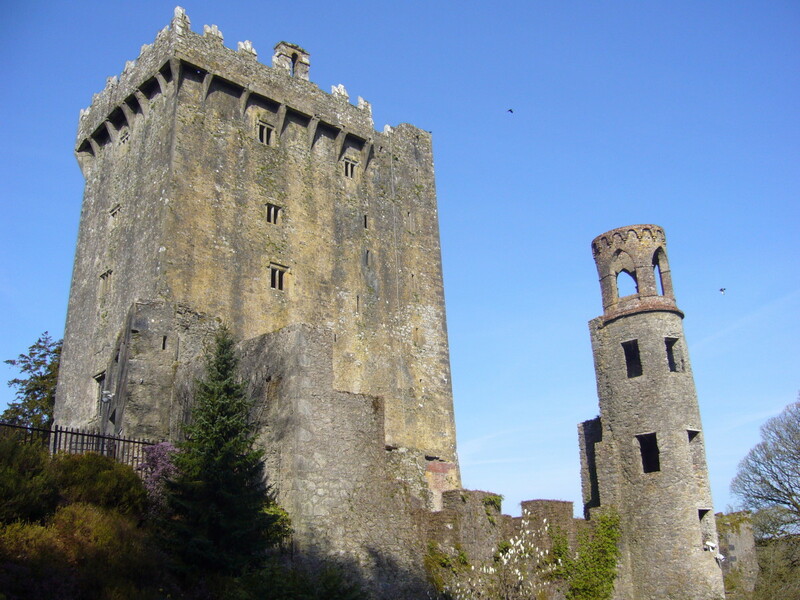 The truth behind this castle and the word 'blarney', comes from the ancient propaganda of the Irish Lord of Blarney, toward Queen Elizabeth of England. The Queen claimed the land to be hers during the long war between the two countries. 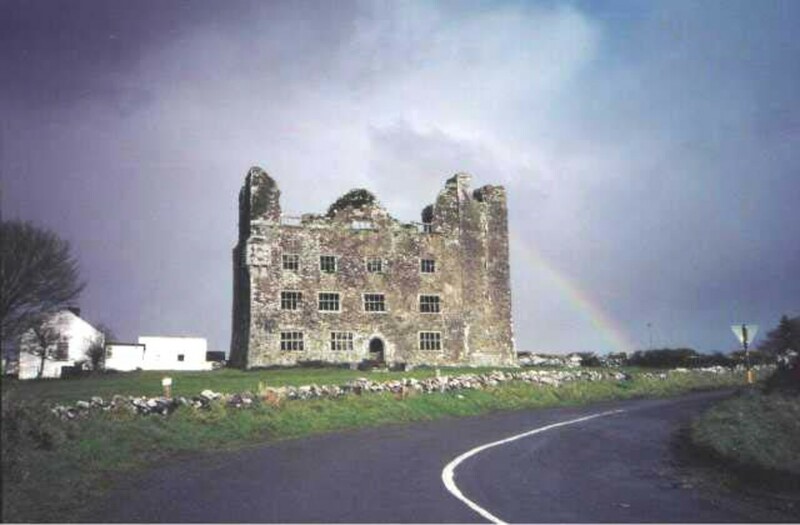 Blarney refused to swear loyalty to her, instead holding up in the castle under siege. 11. St FinBarre Cathedral, Cork City, County Cork. 13. 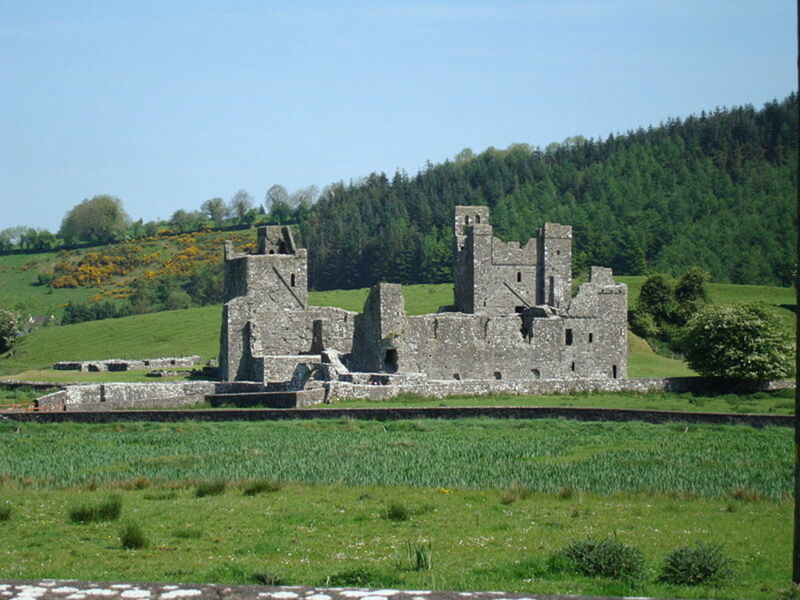 Fore Abbey, Co.Westmeath - The mysterious wonders of Fore. This ancient village is an untouched delight and surely worth visiting if you are in the area. 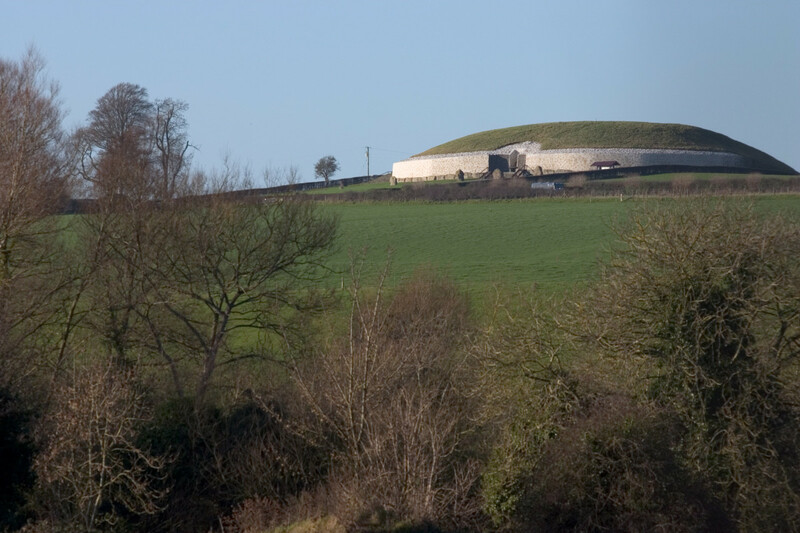 The majestic, 5,000 year old Newgrange, Nowth and Dowth. 1. The back roads. Try to only use the back roads when you are heading out to an ancient monument, relic or tomb in the country side. Some of these old roads are relics in themselves. These roads are rarely used and some are more like walking trails. The main roads are top class. Stick to them. 2. Drinking and driving is strictly forbidden. Don't be surprised if you end up in a cell for the night.Its Zero tolerance. Even a tiny bit, and you're done. Ask a local for a taxi/ hackney number, and grab a 'seven seater' back to hotel or B&B when you have had a few too many. 3. Rent a small economical car. Petrol (gas) is expensive, and when visiting those old monuments, on the roads that no one ever uses, it is a lot easier in a small car than a big old gas guzzler. 4. Speed limit. The limit, unfortunately means the limit in Ireland. Go over the limit and face a Garda (police) car or motor cycle on your heels. 1. Irish people are just like everyone else, except for one thing. A lot of people like to make fun of you. A lot! I grew up there so I know. They call it 'Takin the mickey out of ya', 'having the craic', or 'just jokin around'. So be prepared to have a lot of fun, and keep a light heart. 2. Different areas have different accents. And you may understand people in one city easily but the others may be a mystery to you. Just remember that people are friendly, and wont be offended if you can't understand them. 3. Irish people are good fun in general. But try to cut down on the leprechaun silly talk. Its annoying. People will laugh the first time. But believe me, it gets really old really fast. St. Patrick's day may be the only time you see fully grown men dressed as Leprechauns. That can be quite the sight. So if you are into the cheesy Irish image rather than the historical or geographic appeal, the St.Paddy's day festival may be more suitable for you. 4. There isn't a whole lot of pitfalls. Dublin is a safer major city than most. As is Cork which was the European capital of culture in 2005. Common sense is all you need. Do you plan on ever visiting Ireland? Grabbing a flight into Ireland can be for as little as E500/ $650 per person from the USA, and as little as 50 quid from the UK or Europe. And a note for back packers, the price to Europe works the same, from Dublin, Shannon or Cork to any of these countries. Ireland is great for families, romantic getaways, stag nights, tours, acacking or even for a nice quiet hideaway that we all need now and then. Please feel free to comment with questions and/or stories. I may even edit the article with any great suggestions. Check out the helpful links below, enjoy your trip and have fun! 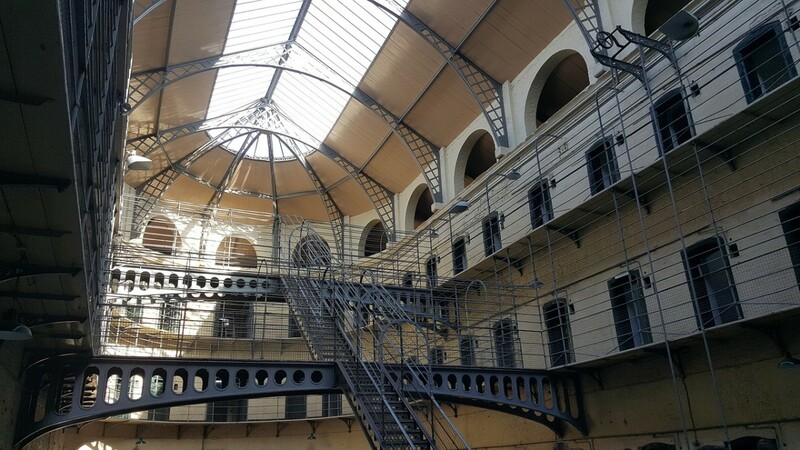 If you are visiting Dublin, Ireland this year, you have come to the right place to make a list of tourist attractions whether you are looking for historical, cultural or just a party. Guinness Storehouse, Dublin: See 2,002 reviews, articles, and 1,210 photos of Guinness Storehouse, ranked No.64 on TripAdvisor among 480 attractions in Dublin. 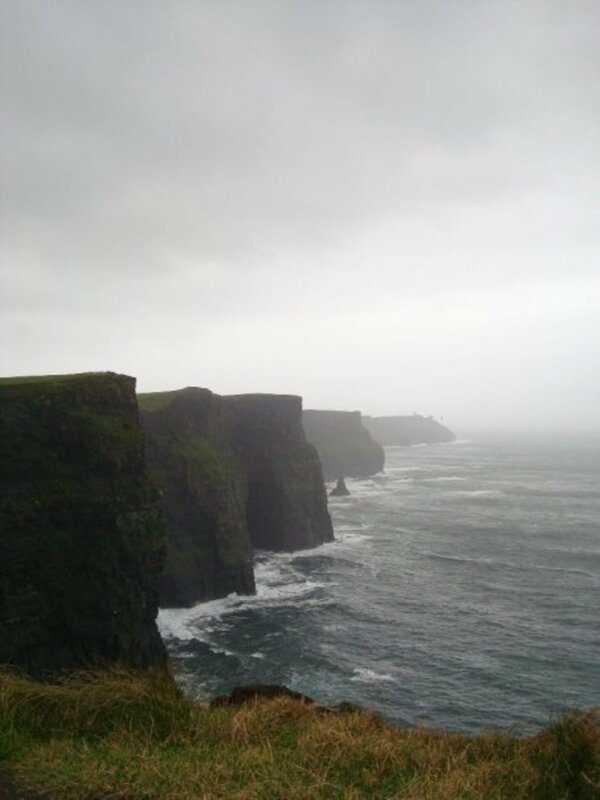 Cliffs of Moher, County Clare: See 540 reviews, articles, and 439 photos of Cliffs of Moher, ranked No.11 on TripAdvisor among 115 attractions in County Clare. St Fin Barre's Cathedral: Beautiful! - See traveler reviews, 16 candid photos, and great deals for Cork, Ireland, at TripAdvisor. 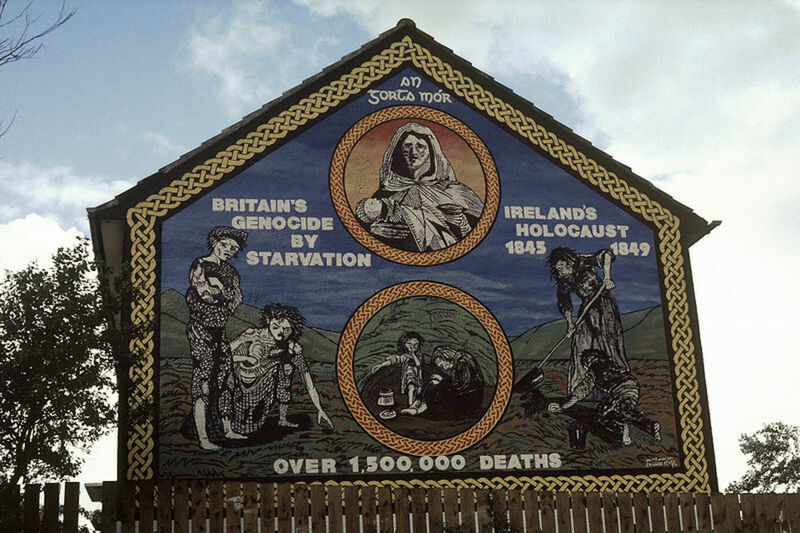 We visited Dublin a long time ago and also Belfast. From the UK it is a short and relatively cheap flight. I remember going to the Guinness brewery and the Jamesons distillery and also a bus tour of Belfast. I would like to go back to see the Titanc museum and also the Giants Causeway. Thanks Lee. It was the first hub I ever wrote. I plate it here and there. If you have suggested additions, fire at will. Great hub, very interesting, very enjoyable read, thanks! 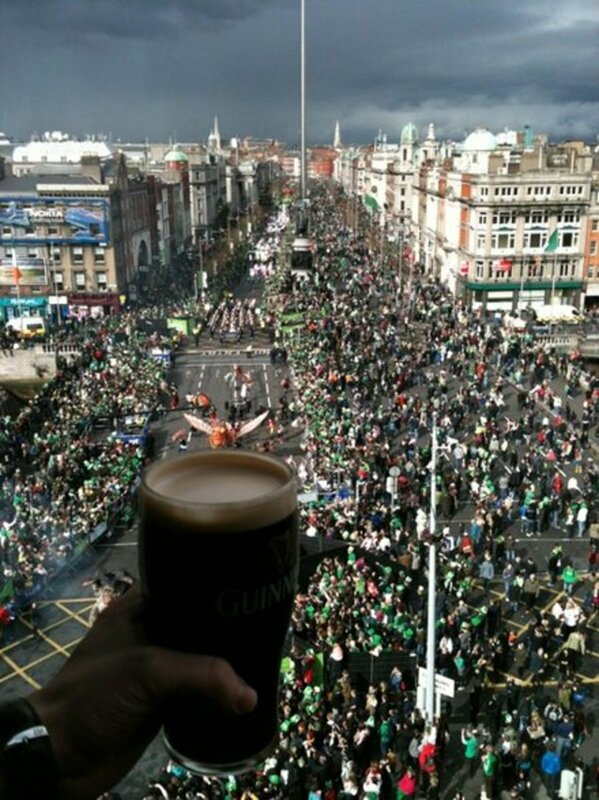 I love Ireland. I have been living and working there for a few years and it was an awesome experience for me. I have been to the most places you have mentioned above. I´m glad that I had the chance to be there. Now I miss your country and my Irish friends and would like to spend a holiday again sometimes. Thanks for reminding me my beautiful life in Ireland. Wow I want to go! I loved reading this hub of seeing Ireland through your eyes. Also enjoyed the tips! I voted the "I wish" part of your poll. It would be lovely to see Ireland someday! Up, useful and interesting votes and sharing with my followers. Great hub. I'd love to visit Ireland one day. Great hub! Ireland is on my list of places to visit... its only across the water! Great page, I've been before a few years ago, but I am going again next spring. I'll check some of these out! I'm glad you enjoyed the article. Plenty to see, and its best to do some reading into where to visit first. We will be moving back in May with our little girl who will be 2. Its such a great environment for the little ones, but on vacation, it may be hard to see what you want if they are too small. Great article. Cool pictures. I want to go to Ireland, but waiting for the kids to get bigger. @freecamping Aussie. Ask the locals how to get home from the bar. There is always a reliable way. A hackney is a good idea. :) Dublin is nice but very similar to other European capitals. I like (for cities) Galway and Kilkenny. They are small and fun. For towns, there are too many to name. Blarney, Killarney etcetera...... I love small towns at home. Like scarrif or fore where no tourists ever go. It's just just untouched and natural. Chat with the locals and have a quiet pint. :) enjoy. You should grab an aer lingus flight over. No better time than now when the economy is still down. Dublin is really nice. Maybe check out some Gaelic football. I've been to London. Beautiful city (and huge). My brother spend some time in edinburgh. He loved it. I would recommend Galway city and getting a bus out to the cliffs of mother and maybe a boat to the Arran islands by what you said you liked. Irish, English and Scottish should really visit each others countries more. Such varying cultures and so much to see. It's a great part of the world to live in and I think the future will be a lot better than the past! I'm really looking forward to the World Cup. My wife and I are moving back from the US next year to Ireland. I know it's my loss that I've never been across the Irish Sea, to either Ulster or the Republic. There are so many wonderful places I wish to visit and your Hub certainly highlights many of them very well. Simply due to my personal interests, I have long since wanted to visit for the rugby - the Five (now Six) Nations match between Ireland and Scotland. I've had the pleasure of enjoying the company of the visiting Irish for the Murrayfield fixture many times and would love to reciprocate. Perhaps more so, I know how wonderful Ireland can be for sea fishing and have seen many TV shows of fishermen and seafood chefs (particularly Rick Stein) visiting your country for what amounts to a sea fisherman's experience of a lifetime. Determined I will make it, for one or the other (hopefully both!) some day :) Thanks for the info and the read. Maybe I'll give it a visit in the spring. molometer. There are so many places to see for such a small country.Never a better time than now when the hotels are dirt cheap. Glad you enjoyed the article. Newgrange, Dowth and Nowth are awesome! A lovely hub full of the charms of the emerald isle. 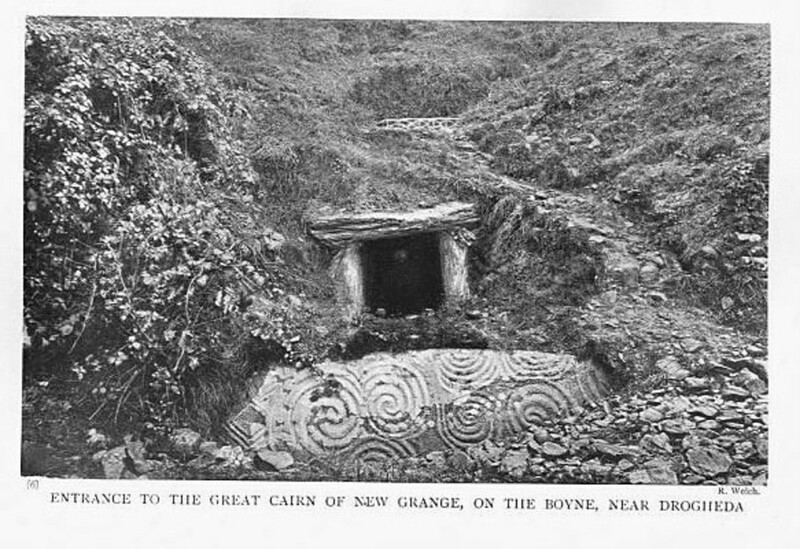 I really must get over sometime and visit Newgrange, sounds great. I went to Ireland while backpacking about 6 months ago. It was amazing. We went to Dublin and Killarney. Killarney was one of my favorite places out of the whole trip. It was awesome because you can get in by train really cheaply, walk to the BEST hostel I have ever stayed at, and they'll direct you where to rent a bike. Rent your bike and spend 2 days just exploring the nearby national park and town. It was awesome. The scenery is amazing. The people are lovely. There's no "tourist trap center" full of locals who make a living by treating tourists like idiots, like in most of the European cities. Especially have to give a shout out to the Hostel I stayed in. If you are wary of staying in a hostel.... seriously try this place. Dark wood for miles, U-shaped rooms for a bit of privacy, huge beds (compared to what we were used to at that point), and an amazing old farm-house kitchen. Get a private room if you have 3 people or are willing to bump up the price. Staff was very laid back (bit hard to get a hold of!) but so so so friendly. Seriously feel like we made a friend in Killarney. 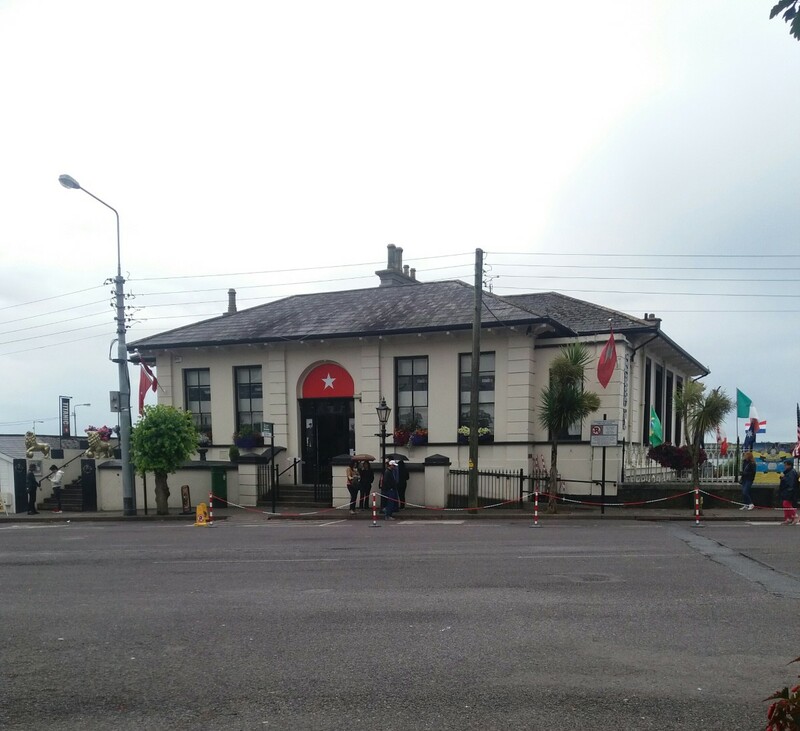 "Killarney Railway Hostel." @karen hellier, you should visit again. Things are cheaper now than they were for a good while. So much to do and such wonderful happy (but negative in a funny way.) people to chat to. I loved your hub. I went to Ireland for 12 days in 1988 and when I came back to the U.S. I was homesick for Ireland. I could have moved there in a second. I went to a lot of places you mentioned so it was good to read about them and relive the memories. I loved your pictures as well. Voted up and interesting. Fantastic! You have done my family proud with this informative review of the Emerald Isle. My kin originate from County Cork. My Irish Nana used to mention "The wailing of the banshees". I was always scared half to death, and loved every minute of it. Beautiful and very interesting :-). Thanks for sharing :-). @gclark. I have only touched the tip of the iceberg. I tried to include one of each type of site. 1 castle, 1 geographical wonder, 1 megalithic tomb, etc. I will be updating it soon a, and could thing of 20 more great places to visit off the top of my head. Check out aerlingus while the flights are cheap :) glad I could provide you with the information. Have a great Sunday. Interesting and useful article with lots of photos. This is going on my list of places to visit before I die. So many places and so little time. Thanks for sharing. Thanks for the comment Meg. 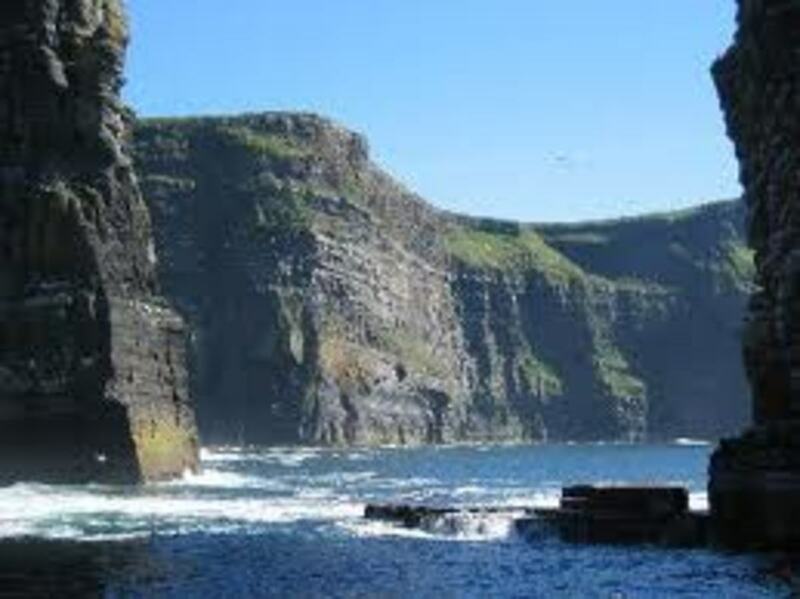 The Burren is awesome, but I prefer the cliffs of moher. The best part about the cliffs is that you are free to roam. Its just beautiful. Can't vote in your poll - I'm already there! LOL. I see there are some places I need to visit. 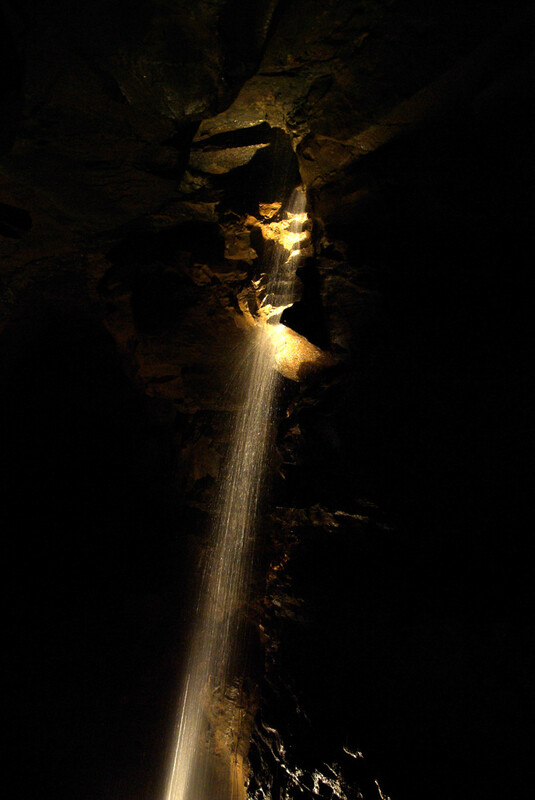 Would love to go to the Burren, I have heard it's totally out of this world - like being on the moon.